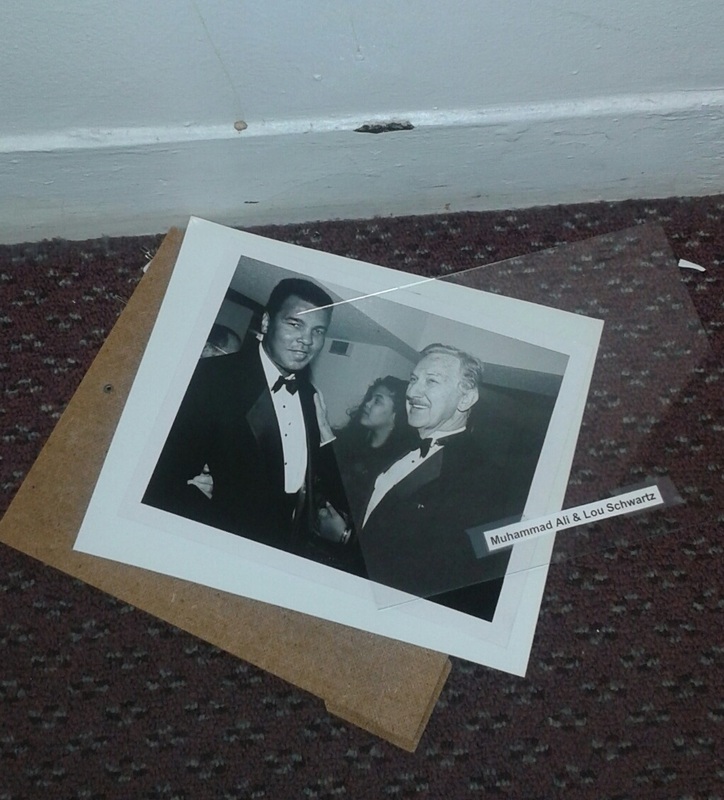 Photo of Muhammad Ali and Lou Schwartz which hung on the wall of the ASA office, sits on the floor after falling off the wall just days after Ali's passing. June 7, 2016 - After mourning the loss of boxing legend and friend Muhammad Ali this past weekend, I experienced a strange occurrence upon entering the ASA office on Monday afternoon. Among the many photos I have adorning the wall of our office, there is a photo of Ali and I sharing a laugh at the 7th annual ASA Hall of Fame Dinner. 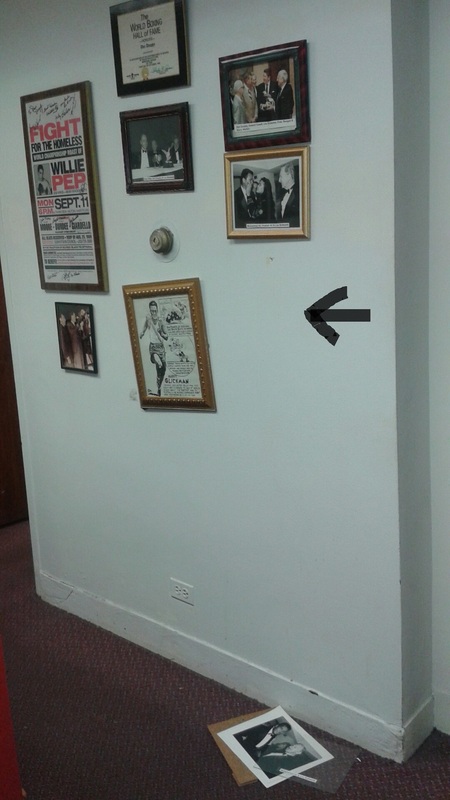 To my surprise, the photo, which had hung there for so many years, had fallen off the wall and was sitting on the floor. Since the office was closed for the weekend and no one had been there since Friday afternoon, this is quite a strange happening. Coincidence? Perhaps. I'll leave it up to you to draw your own conclusion.